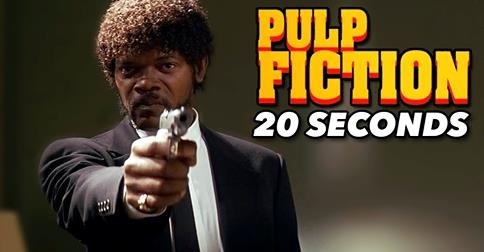 For your viewing pleasure, Bobby Burns, filmmaker, vlogger, and film critic, crafted this 20-second piece on Pulp Fiction. Perfect for when you don’t have the time to sit through a 2+ hour long film. Check out Bobby’s Youtube channel for more creative edits and more 20-second films, like Captain America and Divergent.